Multi functional bowls made with food safe glazes. A lovely catch all dish, for candles, soaps, jewelry, condiments, or perhaps ice cream. Hand built from stoneware clay and glazed. Kiln fired to mid range. Durable and completely food safe. Microwave and dishwasher safe. 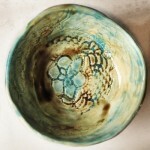 Eye catching texture around the outside rim makes this bowl a special piece. 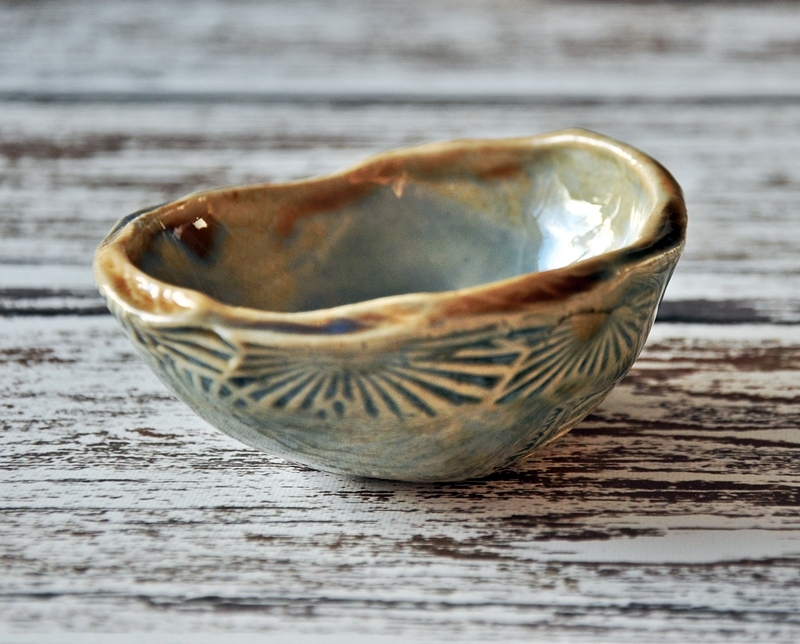 Slightly larger than my other listing for a similar bowl, this one measures approximately 4″ (10 cm) across by 1.75″ (4.5 cm) high. A lovely catch all dish, or as a soap dish for round guest soaps,for jewelry, or even for hor d’oeuvres, condiments or butter. Makes a lovely housewarming gift, or a little something to say thank you. Measures approximately 3″ (7.6cm) across by 1.5″ (3.8 cm) high. 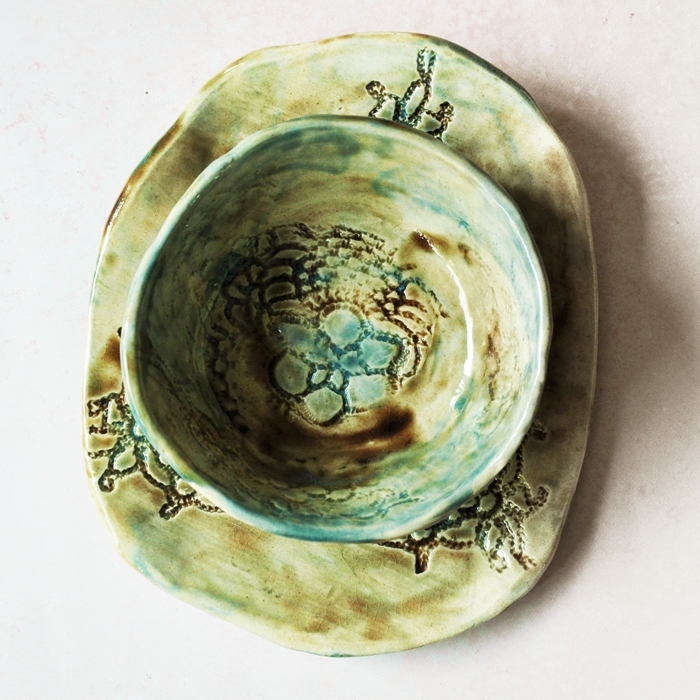 Bowl and plate glazed in pale water blue and light brown: Lovingly hand formed from white stoneware clay and fired to mid range with food safe glazes. The texture was achieved with a hand crocheted lace doily (bought from another Etsy seller). Purchase these beautiful one-of-a-kind pieces individually, OR as a set (select from drop down menu). Enjoy your cereal and toast, your soup and sandwich, your ice cream and fruit, with elegance and a smile. 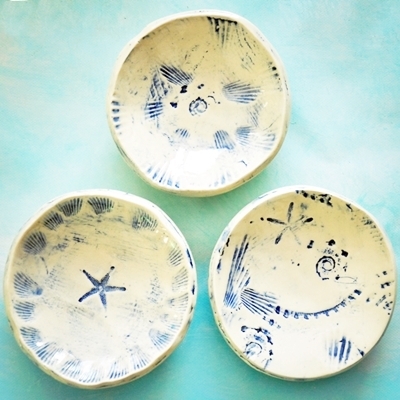 Or use as a pretty serving set when entertaining guests in your home. 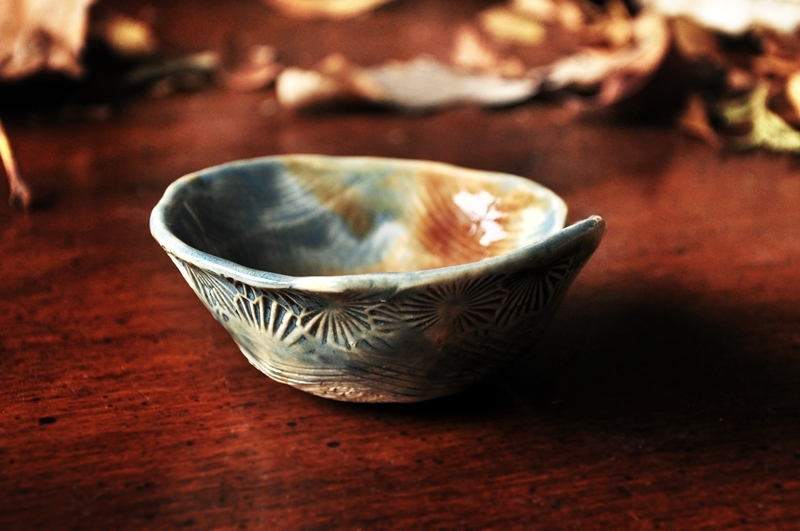 Bowl measures approximately 5″ (13 cm) in diameter x 1.5″ (4.5 cm) high. Dishwasher and microwave safe, with hand washing preferred.